The Porsche 996 C2 is a great all around car. Great handling, decent performance and an excellence driving experience. But sometimes you find your self hoping for more power or needing that extra bit of horsepower to really excite you. TPC Racing has a kit specifically for this. Utilizing a single large turbo, the 996 retains its drive-ability on the street but also provides a bit more power to make your heart pump. This turbo kit produces 420 horsepower to the wheels, up from about 312. This extra power is achieved with a single turbo, fuel injector upgrade and ECU tuning to hone the power into a safe operating level. The TPC Racing 997/996 Supercharger Kit has severed us well for many years with hundreds of satisfied customers around the world. However, manufacturing and installation costs as well as a complicated installation proved to be to much for some prospective owners. 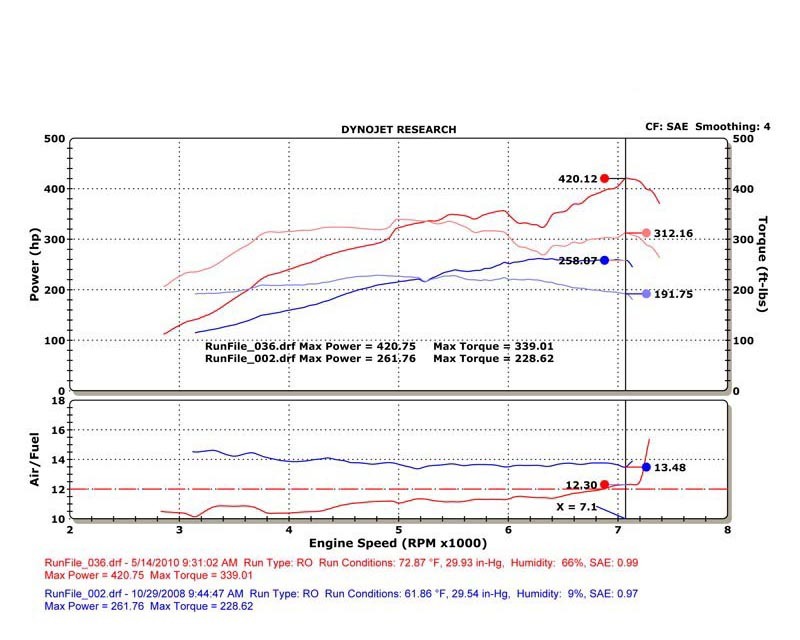 Also, with the huge improvements in turbocharger technology over the past few years, TPC saw the opportunity to create a system that could raise the bar for performance over the supercharger kits currently offered. So, we went back to the drawing board to create a brand new turbo system for the Porsche 997. What was created is a turbo conversion that is less expensive to manufacture. We can therefore pass those savings onto our customers. 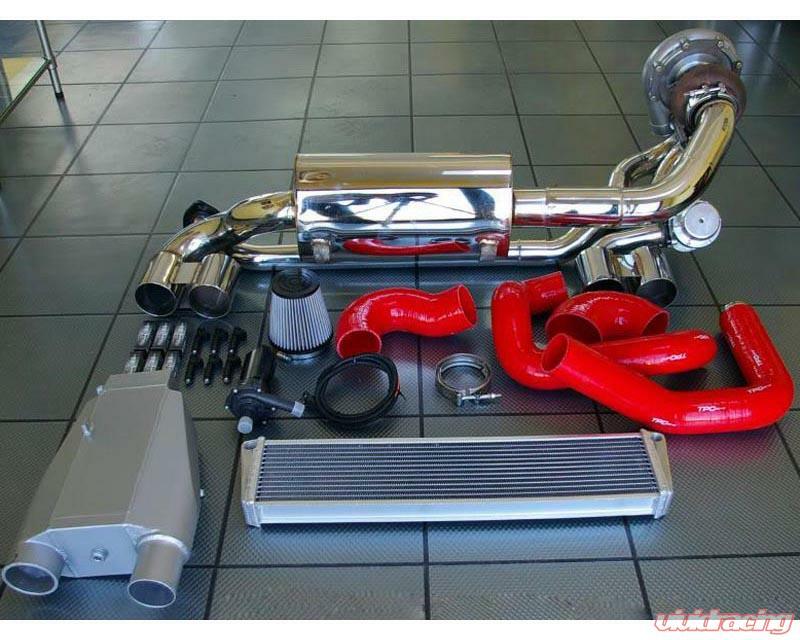 This systems is also dramatically more simple to install than our Supercharger Kit. Instead of having to drop the engine to get the supercharger fitted and installed, most of the components in our Turbo Conversion simply bolt up in place of the stock exhaust system. With this Kit, Vivid Racing recommends the Center Radiator Kit (part # 997.044.100.05), Please select this product below. TPC Racing is the Mid-Atlantic's premier maintenance, service, tuning and modification center dedicated solely to Porsche sports cars. This long time focus on only one make has enabled them to become experts in Porsche service, tuning, and racing. TPCRacing has its roots in the IMSA Supercar Series of the late 1980’s and early 1990s, where team owner and driver Mike Levitas managed the turbocharger programs that gave the fire-breathing Nissan 300ZX, Mazda RX7 Twin Turbo, Lotus Turbo Esprit and Consulier GTPs their prodigious power. By combining a lifetime of automotive enthusiasm, business experience and technical skill with advanced aeronautical training and certifications, Levitas has managed to extend the engineering of some of the most advanced and well-regarded machines in existence – Porsche race cars. After climbing the Porsche Club Racing ranks starting in 1992, Levitas and TPCRacing ascended to Motorola Cup action in 1999, driving a mix of Mercedes sedans and Porsches. In 2000, TPCRacing began entering races under its own banner, and since has scaled the heights of the Grand American Rolex Sports Car Series, winning more than 20 times in class and claiming an unprecedented 1-2-3-4 sweep of a major driver’s championship. To this day, TPCRacing remains active in the Porsche community where the team laid down roots, and uses the team’s professional, club racing and street Porsches to develop engine and suspension components for its partners. TPCRacing has an aggressive engineering program, focused on developing powerful superchargers and responsive shocks and dampers for professional and club sport cars, keeps performance-hungry Porsche owners fed a steady diet of racing-derived aftermarket parts.